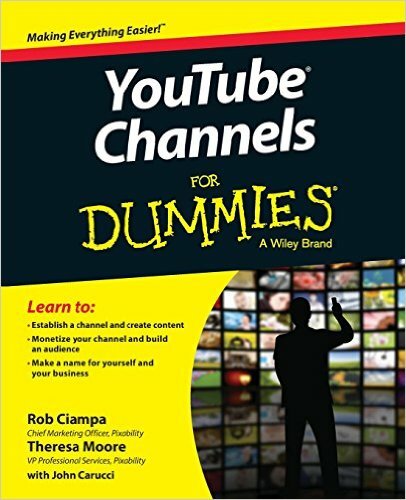 Create content and build a YouTube channel like a proWritten by a successful YouTube channel producer, YouTube Channels For Dummies shows you how to create content, establish a channel, build an audience, and successfully monetize video content online. Beginning with the basics, it shows you how to establish a channel, join a partner program, and develop a content plan. Next, you'll gain insight into how to create content that builds a channel, enhance the viral nature of a video, encourage subscriptions, and earn repeat views. If that weren't enough, you'll go on even further to learn how to get the word out about your channel and discover ways to enhance your potential profits. That's a lot of info—but it's easily digestible and simple to put into practice when it's provided in the accessible and trusted For Dummies format.